– (void)viewDidLoad or in scroll view setter)! Even if we haven’t added any views to our UIScrollView yet, running NSLog(@”%@”, scrollView.subviews) will show us two UIImageViews – these are vertical and horizontal scrolling bars. Adding one or many subviews depends on our application design, but the scroll view needs to support zooming, the most common solution is to add a single subview that encompasses the entire contentSize and then add additional subviews to that view. The contentInset property specify a buffer area around the content of the scroll view. We use it, when we need to add padding around the edges of scroll view content. It makes content area larger without changing the size of the subview or subview’s content. To avoid confusion, let’s mention contentOffset property, which is a CGPoint value that defines the top-left corner of the scroll view bounds. 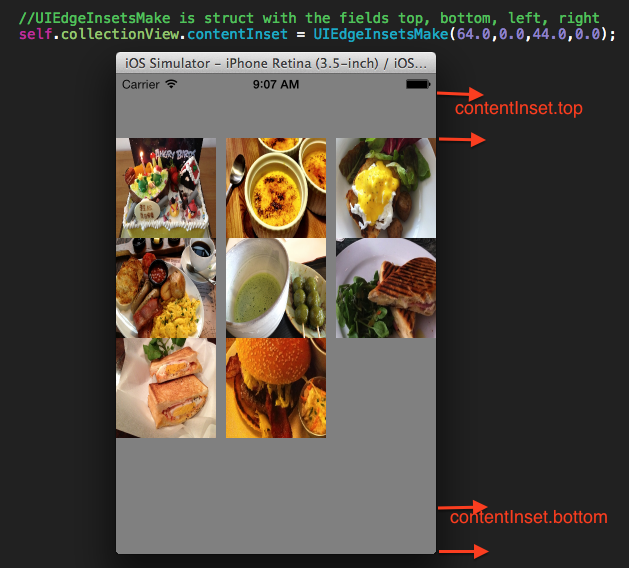 It defines the point in the content that is visible at the top left of the scroll view bounds. It is used often, when we need to scroll programmatically as response to user actions (scroll to top in applications with vertical representation of the data). Core Data, according to Core Data Programming Guide, is not a relational database. At the same time, both Core Data and relational database provide searchable and persistent data storage. So, what is the difference? Suppose we need to sort objects based on the length of the array (property named transactions). 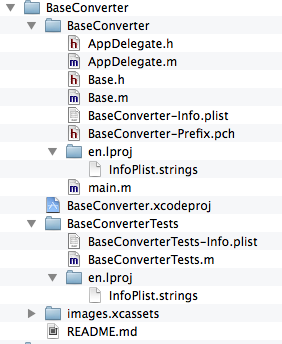 Selectors are internal representation of a method name in Objective-C. They are used to SELECT a method to execute for an object, it identifies the method. Selectors let us treat a method as if it was independent entity, and separate the action from the object that needs to perform it. 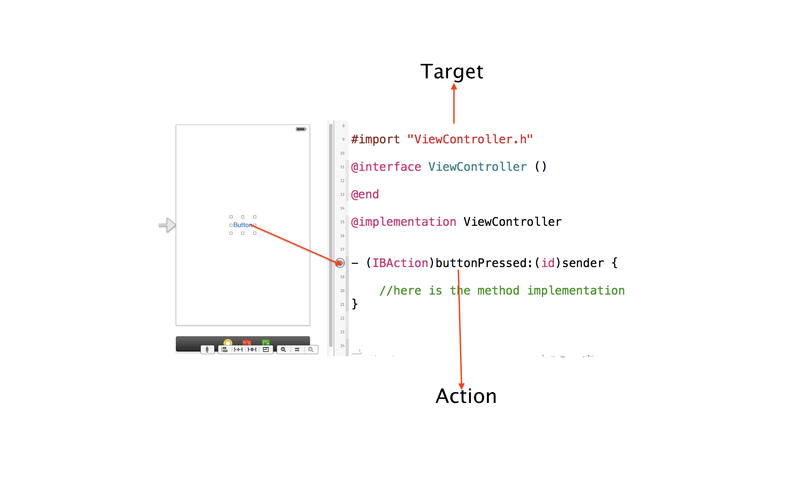 This is the basis of Target-Action design pattern and is an integral part of Objective-C dynamics typing system. In Target-Action design pattern the object contains the necessary information to send a message to another object when an event occurs. For example, the button needs to notify the view controller that the button was clicked (touch event) and then the view controller can act upon this information. Button here has a target (to whom) and action method (what message should be sent). Dynamic typing means that object can be sent a message that is not specified in its interface. This allows an object to capture a message and send it to a different object that can respond to this message appropriately. This is known as message forwarding or delegation. Selectors can be executed on arbitrary object via performSelector: and related methods. When we are not sure if the target object defines the method, we should use respondsToSelector: check before trying to perform a selector. Sample project with selectors and delegates is on Github. We solve the problem recursively, when we break it into smaller and smaller subproblems, until the solution becomes obvious. 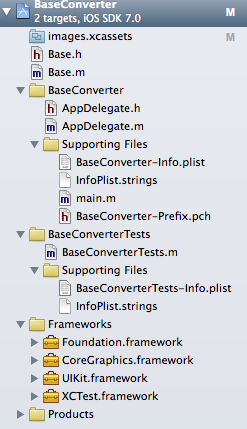 There is also Any base converter on Github, which is a general case of base 2 conversion. It converts any decimal number to any base from 2 to 16 and mimics a stack behavior.